In a medium mixing bowl, sift together flour, cornstarch, baking powder and salt. In a large mixing bowl, using a mixer on medium speed, beat cream cheese until softened. Beat in butter until creamy. Beat in sugar until well combined. Beat in egg, vanilla and almond extract until combined. Reduce mixer speed to low and gradually beat in flour mixture until just combined; stir in Oreos until combined. Chill cookie dough in the freezer or refrigerator until cold. Place rounded tablespoons of dough onto cookie sheets. Bake 12 minutes or until puffed and light golden brown around edges. 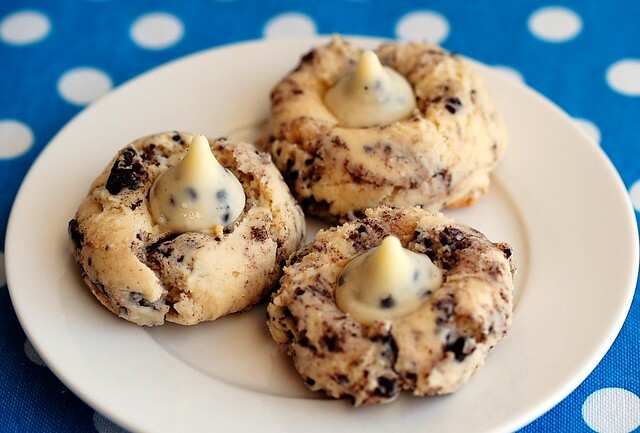 Remove pans from oven; press a kiss in the center of each cookie. Transfer cookies to wire racks to cool. 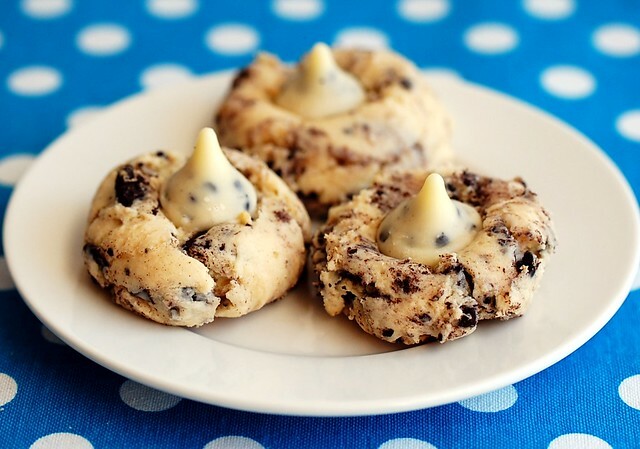 41 comments on "Cookies 'n Cream Kiss Cookies"
That is sweet to make something for Eric's bake sale! The hubs and I were taking just last night and I'm not sure I recall ever having a Valentine's Day party, I just handed out Barbie and Thundercat valentines and called it a day. What a deprived child I was. Maybe I'll make these to console myself! Emily!!! Girl, you have creativity oozing out of your pores. LOVE the looks of these cookies. I can only imagine how delicious they are (I'm a sucker for cookies & cream). You are a constant inspiration :). I just now started back on my reader and have missed drooling over your delicious recipes. I'm going to try making these tomorrow for a my niece's birthday party. Thanks! THese look fantastic! I want to propose marriage to you! I love how your cookies look!!! Boys are funny about the things they think are nerdy. Math clubs and geology clubs apparently - cool. Being an MD/PhD student...apparently not as cool. Cookies and cream is an addiction of mine. I love it in ice cream and I bet I'd love it in cookies. Just saying. 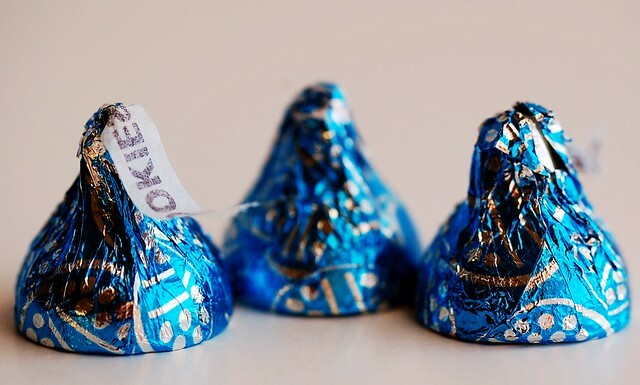 Wait- there are cookies and cream kisses?! I did not know this. I need to get some now.. love these cookies, such a great idea. Yes, you've done it, I think this is the most beautiful cookie I have ever seen. Lovely!! I made cakes for a bake sale this weekend -- should have seen these cookies first! Happy Valentine's day to you and your love. These are just too cute. I have the grandsons this weekend so this would be fun for them too. 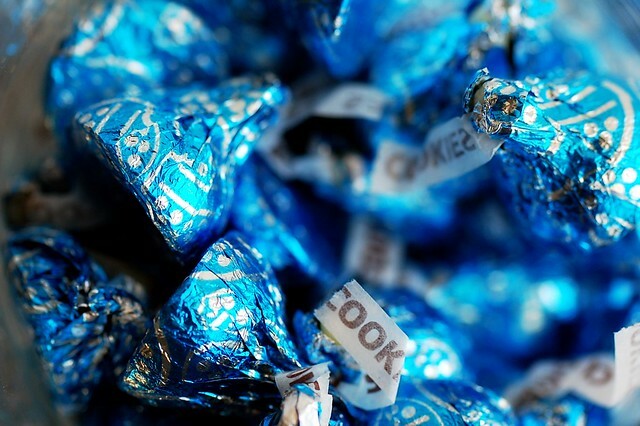 I need to find those kisses!! There is so many possibilites with them--I'm loving your idea though! I. MUST. FIND. THOSE. KISSES. You just made my life complete with his cookie recipe! I have been searching and searching for the perfect Oreo cookie recipe ever since I had one like it at a cookie shop in Columbia! I will be making these right away. Thank you! Emily they're awesome! Cream cheese in the batter?? Nommm. I'm going to have to look out for those kisses - I love cookies and cream! Mmmmm, these would be perfect for me to take to my students!!! Yum! I saw those cookies 'n cream kisses the other day at Target. I knew I should have grabbed a bag! These are adorable! Perfect for Valentines Day. I am taking the plane back to the US just for those cookies n cream kisses. Actually, for other things too, but I have to pick up a bag and make these cookies!! Mmmm, those look tasty! You makin anything for you and your love Valentine's day? 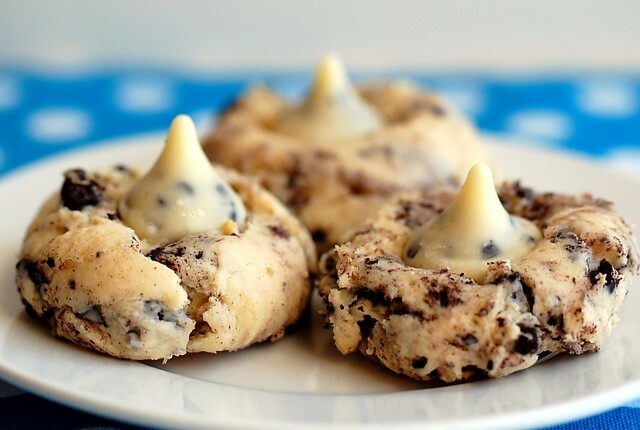 I need to find those kisses so I can make these - they look SO addicting - yum! Helena, I'll have to check out that recipe! Caroline, I don't think I ever handed out Barbie valentines. We handed out scratch 'n sniff valentines for years. 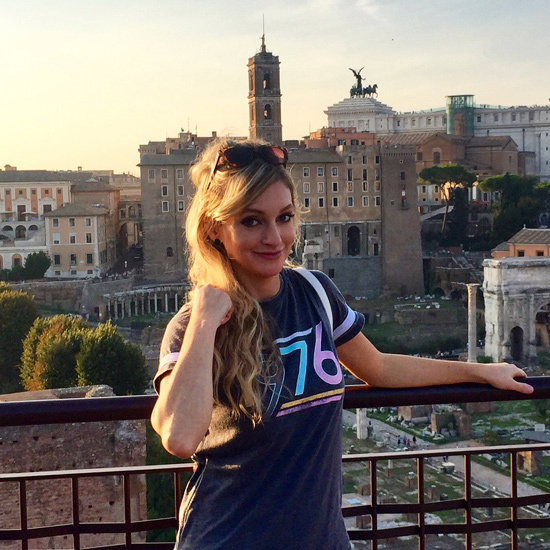 Blog is the new black, I accept. Amy, I made some cake truffles. The cake mix tasted weird to me. I don't think I knew there were cookies 'n' cream kisses! These cookies sound amazing. Love that there are chopped up Oreos in the batter! I could not be trusted around a batch of these beauties. They look super super delish. My aunt sent me the link to your blog because she knows how much I love to bake. I'm very excited to browse your blog and learn more about your baking!! Hi Gabrielle! Thanks for visiting! i'd snicker at eric's involvement in geology club if i weren't such a nerd myself. "COokies and cream" is my favourite flavour combination for icecream/indulgent treats. What a great recipe! I'm saving it..
Yummy and they look really fun! I love all the different Hershey Kisses. Cookies and Cream Kisses? Are you serious? Now I have to find them! 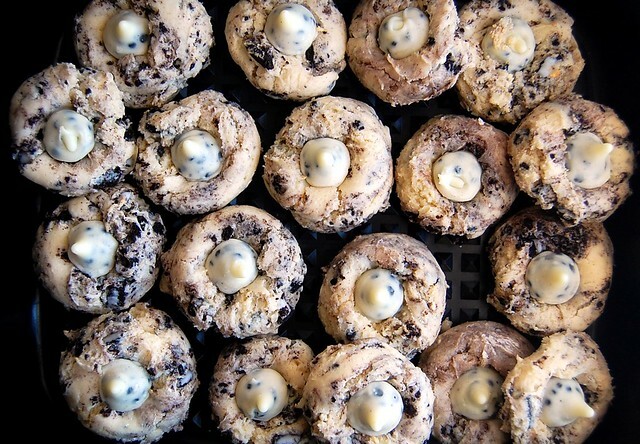 These sound nothing short of incredible - I'm all about the cookies n' cream! Stick a fork in me!! I need these cookies NOW! I only have salted butter, will this be too salty? Hi Suzi, reduce the salt to 1/4 teaspoon and you should be fine! Could I make this a chocolate dough? Maybe 1/2 cup cocoa powder and only 1 and 1/2 cups flour? This recipe looks awesome! Thanks! I think that sounds like a fantastic idea! The proportions sound about right to me.